A frequent goal of the design of vibrating structures is to avoid resonance of the structure in a given interval for external excitation frequencies. This can be achieved by, e.g., maximizing the fundamental eigenfrequency, an eigenfrequency of higher order, or the gap between two consecutive eigenfrequencies of given order, subject to a given amount of structural material and prescribed boundary conditions. 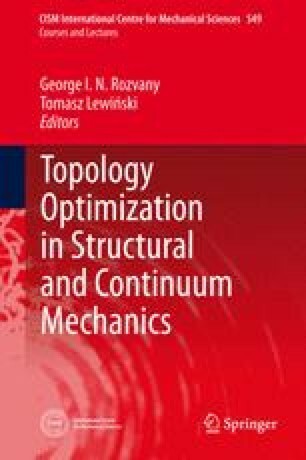 Mathematical formulations and methods of numerical solution of these topology optimization problems are presented for linearly elastic structures without damping in this paper, and several illustrative results are shown.